"We should be shooting off of sticks because it can take awhile for the spark to ignite the powder." As he imparted that tidbit of wisdom, Tim McLagan acted like he had learned a lesson. "That's how I missed the five-point," he said. That was the first weekend of the elk hunt. McLagan and his party hit tracks on opening day, right at dusk. In the morning they returned, found more tracks and tried to get in front of the herd. "We just snuck up on them. It had been a few weeks since they had been hunted so they weren’t afraid of us," McLagan said. After the first opportunity, McLagan had to go back to work. He owns McLagan's Taxidermy in Bend and there was a lot of work coming through his door. He vowed to get back in the field the following Saturday. The hunters hit elk tracks again right away. Again, the group figured out how to be where the elk were going. 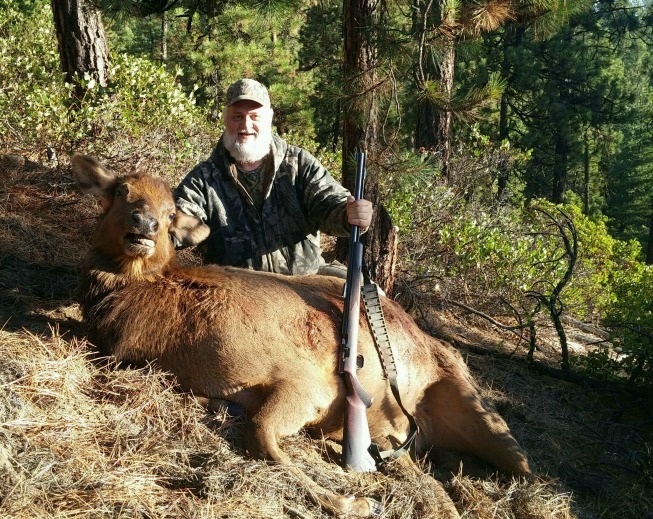 McLagan saw elk coming through the trees and as soon as a cow stood still at 40 yards, he lifted his rifle, set it on the sticks and squeezed the trigger. Papp. That's how it sounds when the hammer strikes the cap, but the flame doesn't fire the powder. He recapped and . . . Papp. "That’s when I pulled the bullet out and found out the powder was all caked in Bore Butter." McLagan went back to the truck and pulled the bullet out of the bore. Then he dumped the wet, caked, spoiled powder out and poured more powder in. He fired it without a bullet to dry the bore. With his rifle loaded and primed again, McLagan jumped in the truck again. The hunters moved another mile downhill in the direction the elk had been going and set up again in another patch of thick cover. McLagan walked in at the base of a hill and leaned against a tree, watching. Cow elk were moving in the trees, spread out. He could hear the snap of twigs and the popping of ankle bones, sometimes a soft chirp as the cows kept track of each other. When a cow stopped in a small opening, McLagan anchored his sticks, dropped the rifle into the Y and touched the trigger. BOOM. A white curtain of burnt powder hung in the trees between the hunter and his quarry. When he walked through the cloud, the elk wasn't there. It was going up the hill. It stopped and looked back. McLagan, determined to use the sticks, jammed them into the side of the cliff at a 90 degree angle to the ground on which he stood. He anchored the rifle and held on the top of the animal's spine. Going straight away up the cliff, the elk had its back to him and the bullet felled it in its tracks. There are several east side elk hunting options for the hunter that would carry a muzzleloader (and shooting sticks) in 2016, but there are three easy-draw options with hunts that take place in October. Close to Bend, this hunt takes place in the Paulina Unit and in the eastern portion of the Fort Rock Unit. Going by the numbers, the Paulina might offer better success. In 2014, the last year for which the data was available, hunters enjoyed a 13 percent harvest success. Fort Rock hunters tagged out at an estimated 7 percent success rate. The East Grant hunt takes in parts of the Murderer's Creek and Beulah units. Success rates hover around 5 percent, but this hunt is relatively easy to draw. The hunter familiar with the Murderer's Creek and/or the Beulah has a chance to scout during archery season or early October's rifle deer season and go into the elk hunt with a running start. For access, it's hard to beat this hunt. Open units are 67, 68, 69, 70, 71 and parts of units 66 and 73. The percentage of public land averages 80 percent. 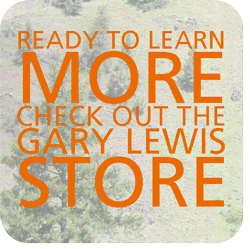 Hunters seem to have the most success in the Malheur River, Owyhee, Juniper and Wagontire units. The roads are rocky and the terrain is rugged. Out here, a sudden rainstorm can turn the roads to mush, but a skiff of "tracking" snow can improve the chance of success. The elk stick to predictable patterns and a high stand on some lonely ridge can pay off with a look at a big herd headed in the right direction. Plan to camp out and prepare to be highly mobile as elk herds may cover 70 miles or more in a seven-day circuit. Bring extra tires, extra fuel and dry reloads in speed loaders. And don't forget the shooting sticks.